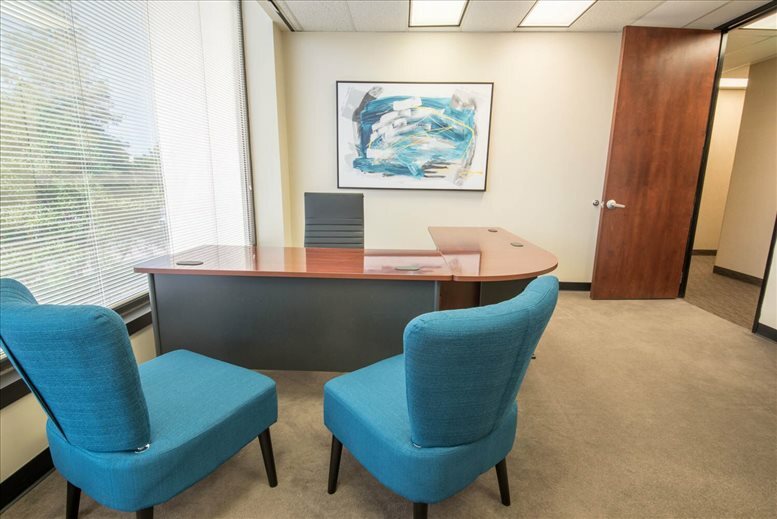 Rent office space and virtual offices in Dallas' prestigious Park Cities neighborhood, just off the Central Expressway and a short walk to Mockingbird Station and SMU Blvd. 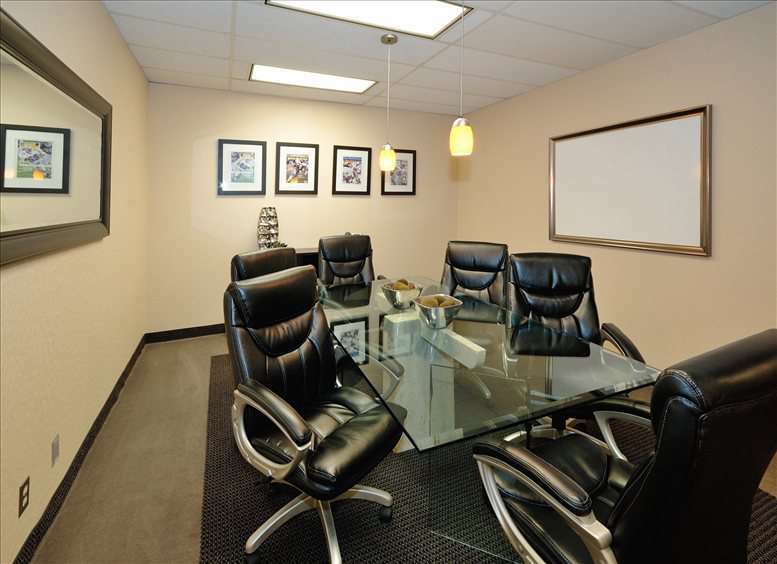 It's time to take the next step in your company's success! 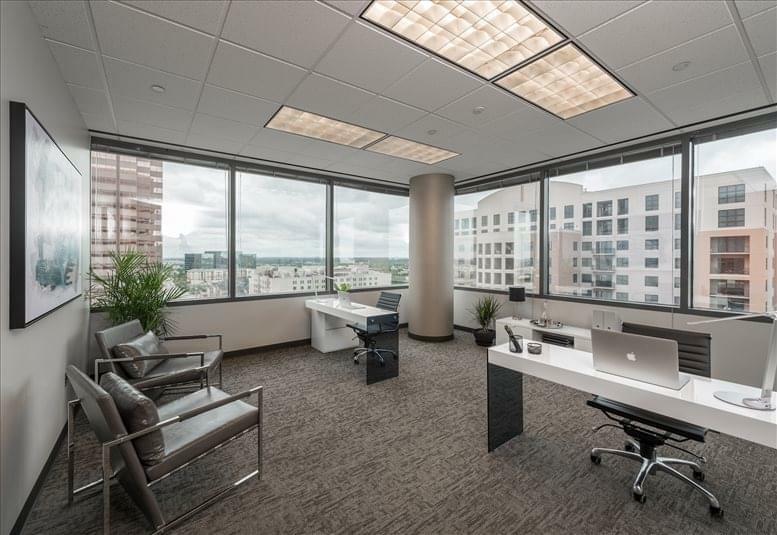 Come see the premium office space located on the 5th floor of the Sixty Sixty at the Crossing building on 6060 North Central Expressway in Dallas. 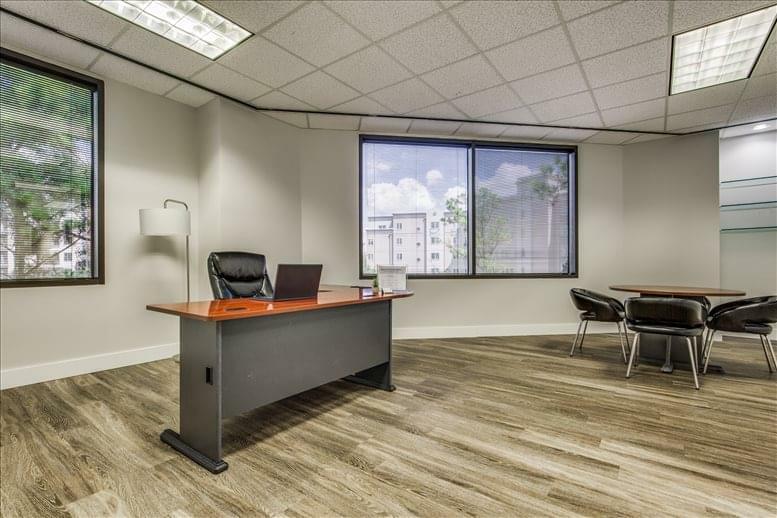 Establishing your business home in this recently renovated office structure can provide you with both a distinguished location and an abundance of phenomenal support services that can help you bring your business' success to new heights. 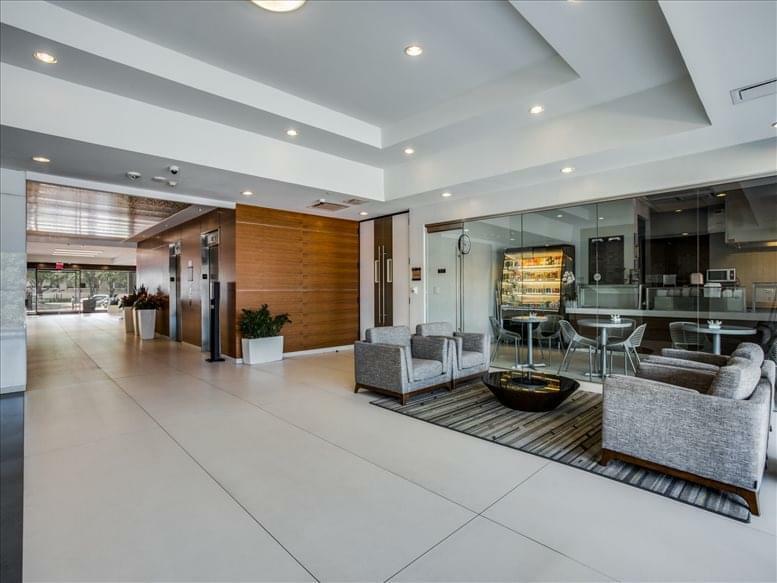 When you arrive at this eight-story modern building, enjoy the free parking or, if you're a cyclist, leave your ride safe and secure at the bike sharing and storage facility. Upon arriving at the 5th-floor office space, you will be greeted by the trained receptionist staff providing professional service to you and your clientele during all office hours. 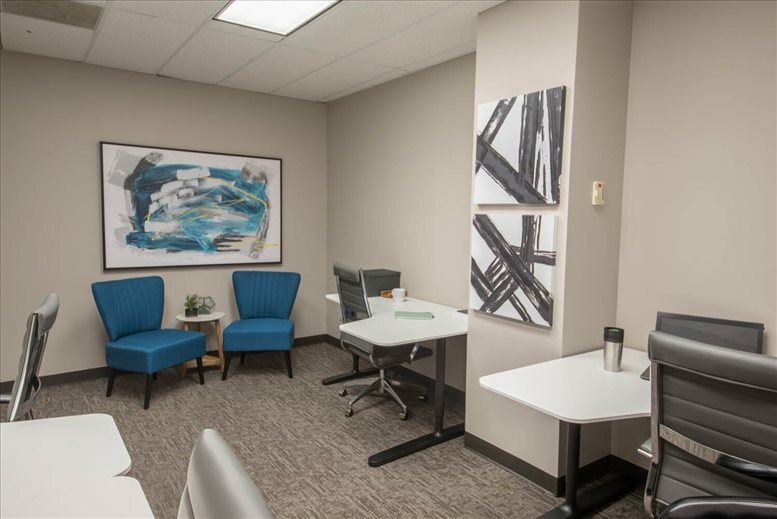 But before heading back to your office, stop by the full-service kitchen and grab a cup of coffee (always on hand)! For those important strategy meetings, book a spot in one of the four professional conference rooms; you can even include your out-of-state business colleagues via the video conferencing technology. 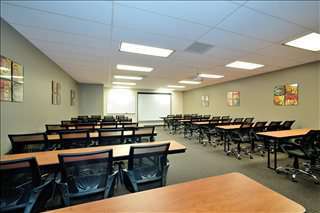 And if you have new hires that you want to catch up to speed, prepare them in the large training room designed for just such occasions. At the end of the day, grab a workout in the fitness center, equipped with shower suites you can use before driving home. 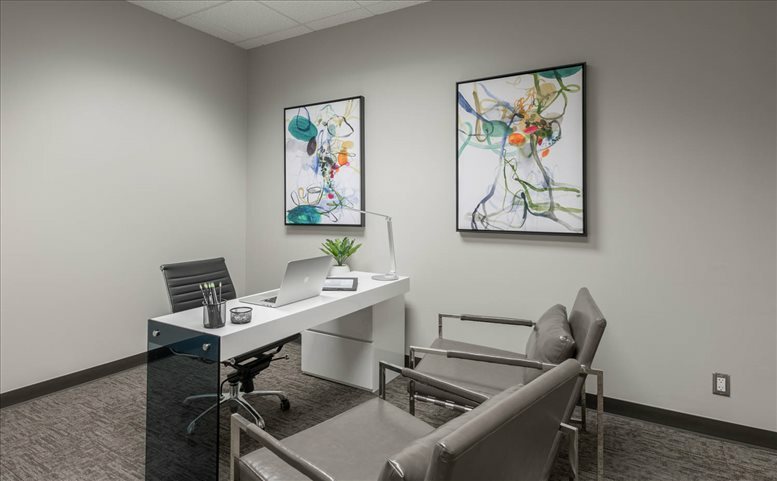 And if you leave a file in the office, don't panic: while the offices have around-the-clock security, you have 24-hour access to the building. 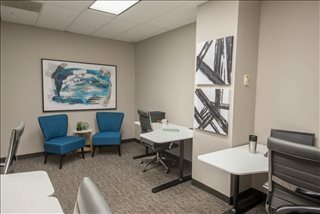 Have any questions or concerns? 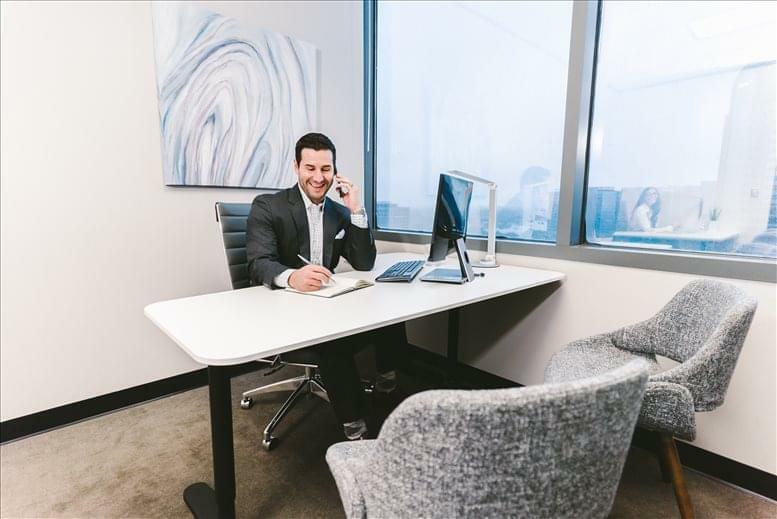 The on-site administrative staff is ready to help in any way they can, providing you with the support you need so that you can keep your focus on achieving your business goals. 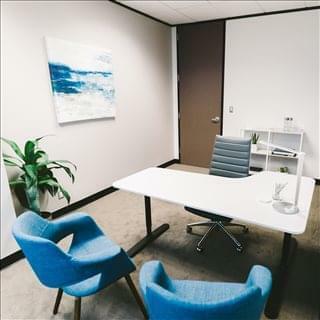 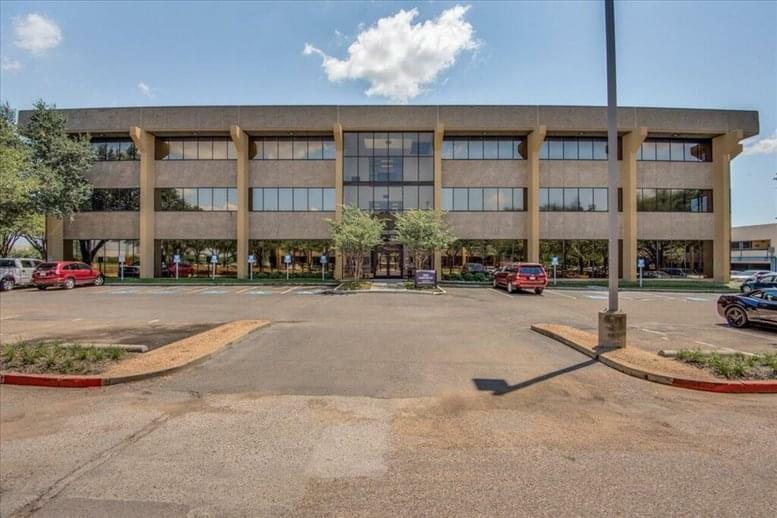 Found in the Park Cities Neighborhood, one of the most affluent districts in the Dallas-Fort Worth area, this office center is the perfect place for you to expand your list of clientele. 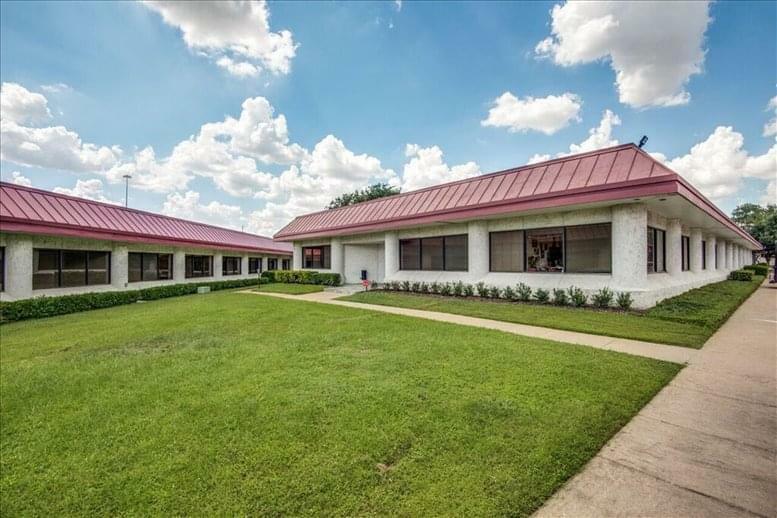 Positioned Right across US-75 from Southern Methodist University, these offices are surrounded by opportunities of all kinds to expand your business contacts, from the corporate gatherings hosted by the office center itself to the selection of golf and country clubs nearby. 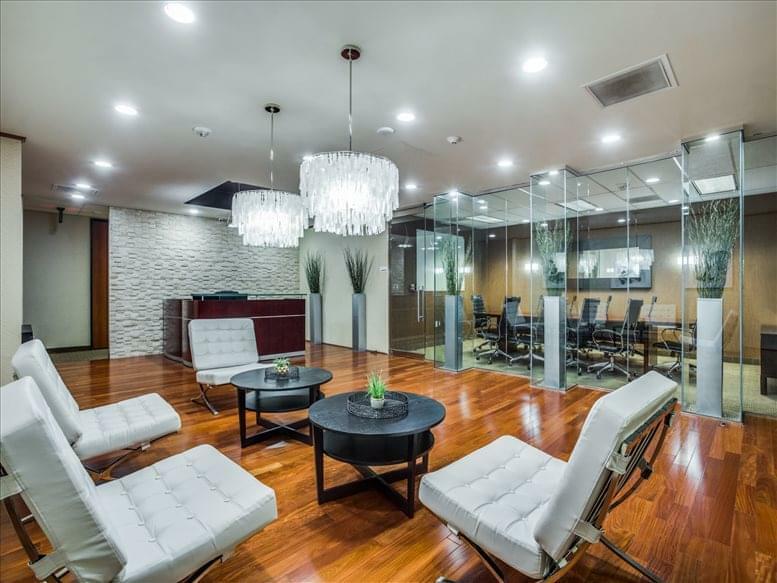 After all, Dallas is home to more corporation headquarters than anywhere else in the U.S., and these offices provide a wonderful centralized space for you to begin networking. The surrounding area also provides a vast selection of dining, retail, and entertainment possibilities for after-hours, and if you need some time to get some exercise or just take a walk so you can think, this area is ideal for pedestrians and is even within easy walking distance of the pristine Katy Trail so you can get some fresh air before returning to draft that important contract. For those seeking better commute times or travel arrangements, this office center has a variety of advantageous options. 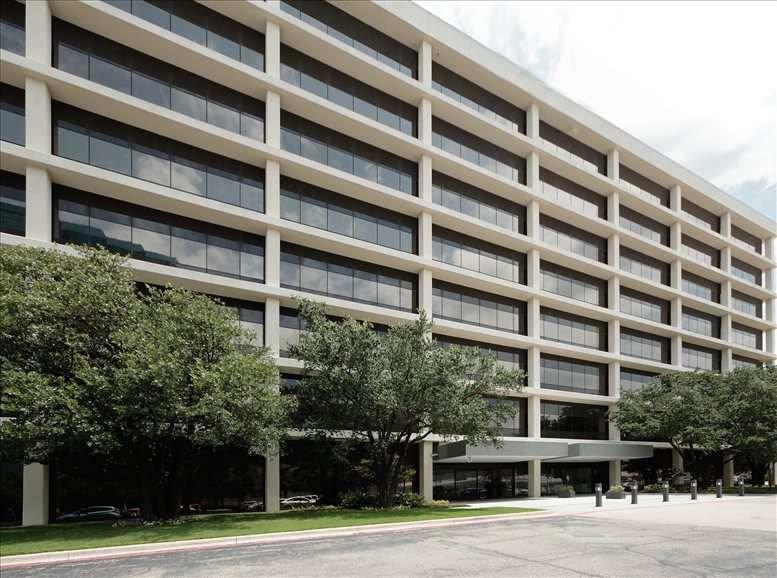 First off, your block is directly adjacent to US-75, a fantastic thoroughfare to get you to downtown Dallas in no time. Need a more economical way to commute? 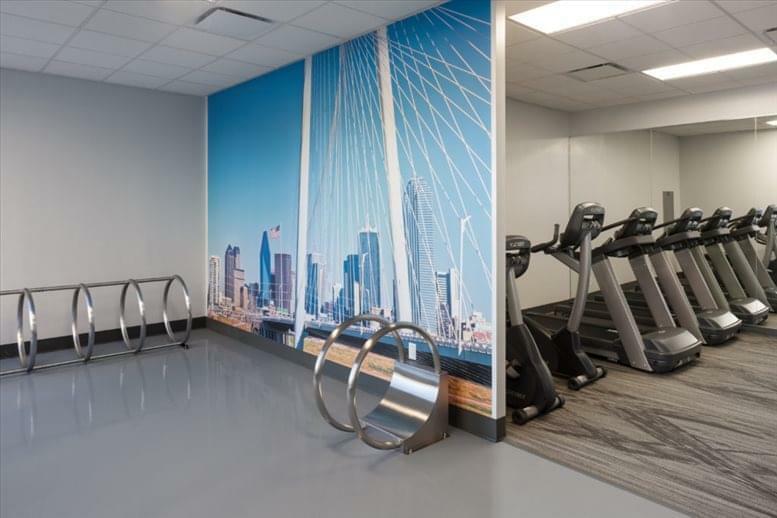 Mockingbird Station is just over a quarter-mile walk away, allowing you access to the DART system and all the transportation possibilities it provides. 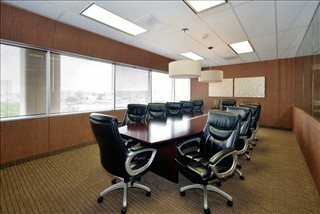 And for those out-of-town business conferences you want to attend, you can drive to Dallas Love Field in just about 20 minutes. Flying to meet contacts out of the country? DFW International is just a half hthe drive away. Wherever your business takes you, this center is a great place to start the journey. 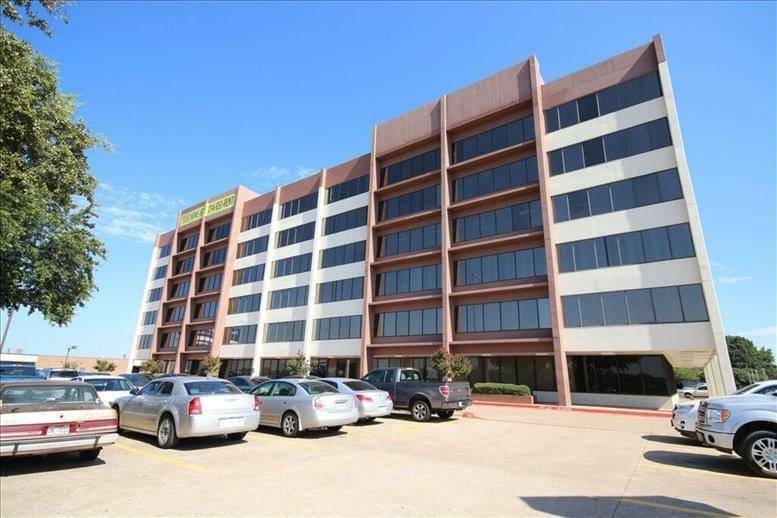 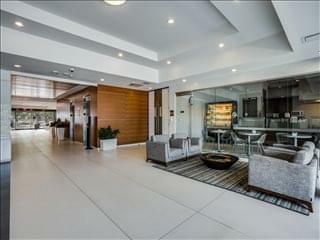 This office space on 6060 N Central Expy, Dallas is available immediately. Details and prices are available by calling 1-877-693-6433 or by submitting the inquiry form.